If you are looking for a car title loan near me and need instant cash, our car title loan can help you. 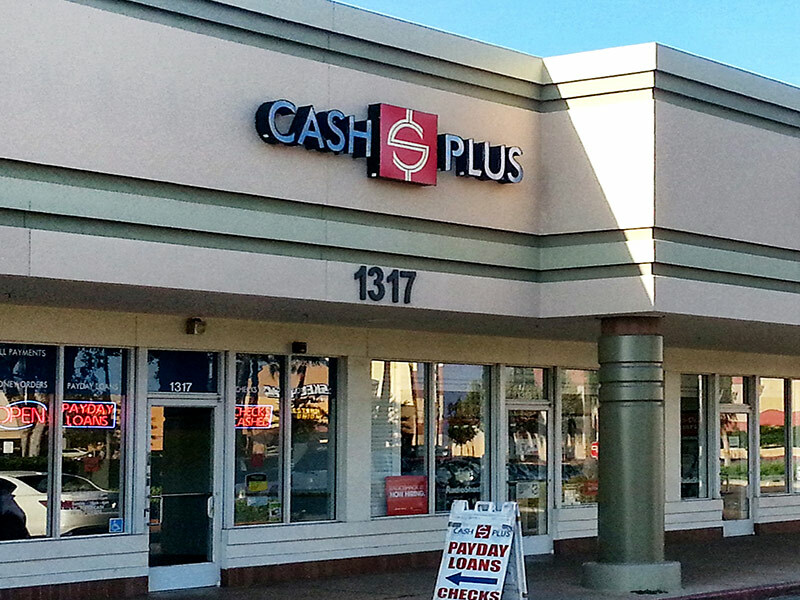 Call your local Fullerton Cash Plus to speak with a friendly teller to discuss your needs. 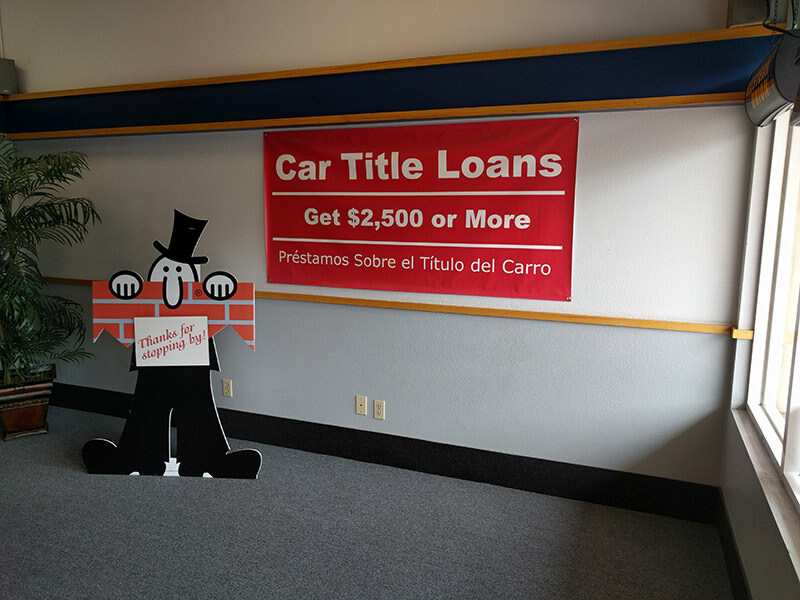 Get a car title loan on the corner of Harbor and Orangethorpe in the Fullerton Metrocenter next to Burger King, Jimmy Johns and Maui Hawaiian BBQ. Target, Sprouts and PetSmart are on the same corner as us. The Fullerton Metrocenter is located north of the 91 on Harbor Blvd. We look forward to assisting you - come visit us today! Licensed by the Department of Business Oversight pursuant to the California Finance Lenders Law. Short of cash and need a Payday Loan near me? Our payday advance short-term loan is the fast, easy way to get the cash you need. Did we say fast? 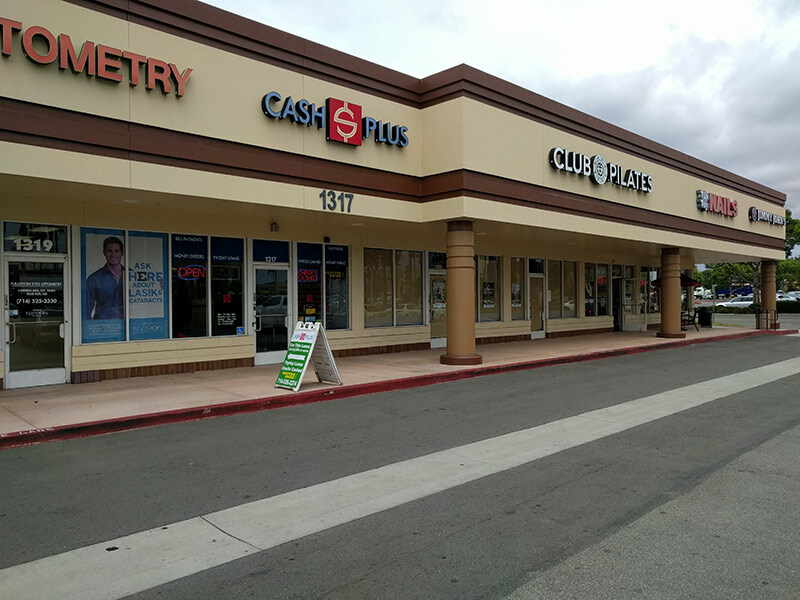 In as little as 15 minutes you can be walking out of our Fullerton with the money you need. Just bring us your most recent bank statement, proof of income, your ID and a blank personal check. That's all. No worries about bad credit, either: no credit check is necessary. You can call in advance to speed up the process even more. Don't wait. Get that cash today. We’re the best place in Fullerton to cash that check. We offer low check cashing rates and can cash most types of checks (payroll, government, money orders, benefits, tax refunds, cashier’s checks and more). Even checks banks won’t cash. Visit us today and walk out with your hard earned cash…and a smile! Shop confidently with our Cash Plus Prepaid Debit MasterCard®. Use our card almost anywhere to make purchases over the Internet, by phone or in stores. You can easily load your card at our store or any other Netspend retailer. And, you can use it any ATM to withdraw cash. You can even SAVE with it, so get yours now! Does your family member need money? 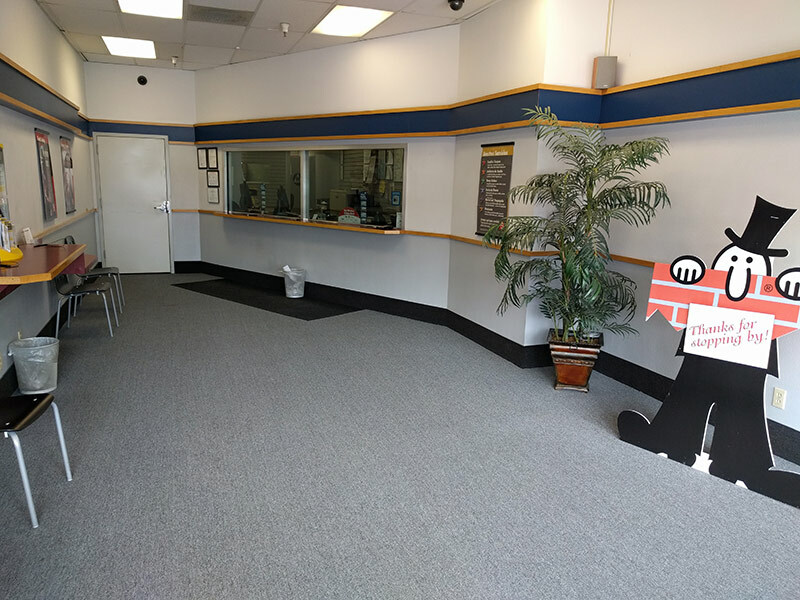 In just 10 minutes you can send money nearly anywhere in the world with a Western Union wire transfer at our Fullerton store. The money will be securely transmitted and be available almost instantaneously. With Western Union you can also pay bills and load prepaid cards. So come in now. Western Union money orders offer a convenient, safe way to pay bills and rent, etc. So bring your cash to our Anaheim store and pick up your money orders today. Oh, and did we mention that ours are FREE to members? And that membership is FREE, too? Both true. 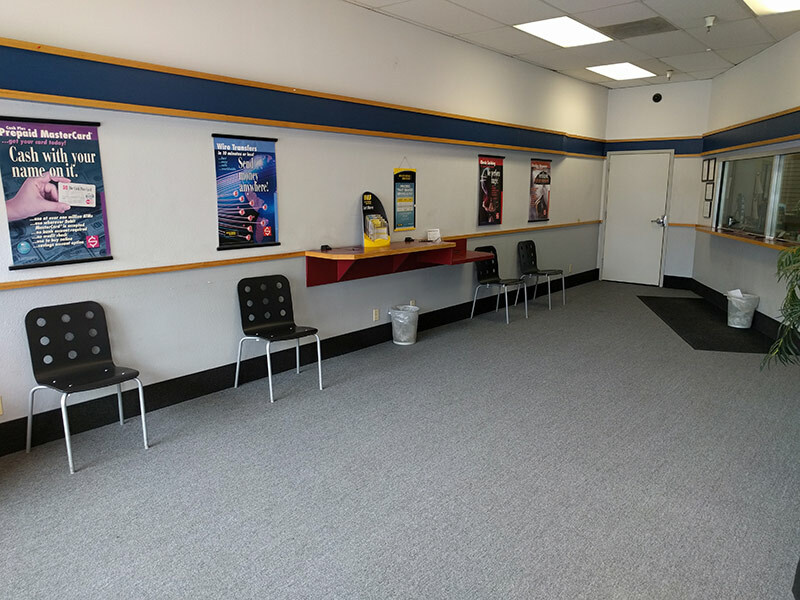 Did you know you can pay almost any bill at our Fullerton store? And that it’s fast and simple? We electronically transmit your payment information to most companies and most payments post within 2 to 3 business days. That makes this method more secure and faster than sending payments by mail. Plus, fees are very reasonable.